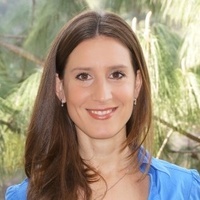 Mariana is an experienced Registered Psychologist with over 7 years of clinical experience in working with children, adolescents and adults, including five years of clinical training in public hospital, where she worked with patients belonging to a wide variety of cultural and social environments. Mariana has training in several evidence based therapies including Acceptance and Commitment Therapy (ACT), Cognitive Behavioral Therapy (CBT) and Dialectical Behavioral Therapy (DBT). In addition, she has a passionate interest in psychodynamic therapies, which includes the completion of a three-year post-graduate course in Psychoanalysis. Mariana has lived and worked in the USA, and during this time she completed extensive training in Applied Behavioral Analysis (ABA) which allows her to successfully apply this approach with children. Caring and compassionate, Mariana adopts a unique combined and complementary approach, using all her knowledge to provide the best treatments to reach each of her client’s individual needs. Mariana works with clients presenting a wide range of psychological issues, including anxiety, depression, relationship issues, personality disorders, bipolar disorders, trauma and grief and loss. Mariana is bilingual and she is also providing therapies in Spanish. Mariana is passionate about Psychology and she strongly believes that psychological health is as important as physical health. She acknowledges that psychological injuries can impact our lives substantially and should not be ignored. In line with Mindworx Psychology's founding principles, Mariana believes in teaching proven techniques for clients to improve their wellbeing and relationships, leading to a happier life.